Are the pictures enough or are the words necessary? Crocodile signs are common in parts of tropical Northern Australia FRizztext, especially some rivers and inland waters. 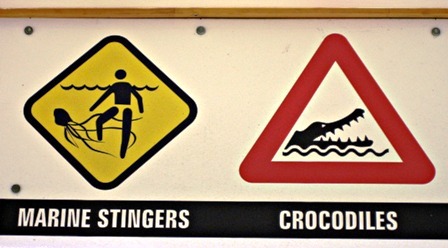 This sign was on a beach – the stingers were way more dangerous there in the monsoonal summer months. 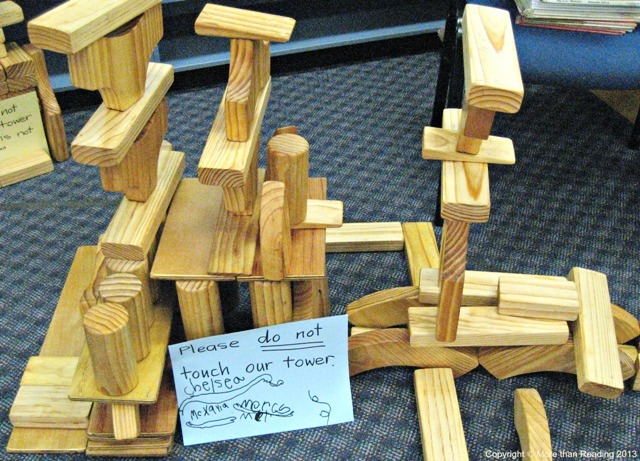 Not wooden lego but regular old-fashioned wooden blocks – great for children to play/build with!